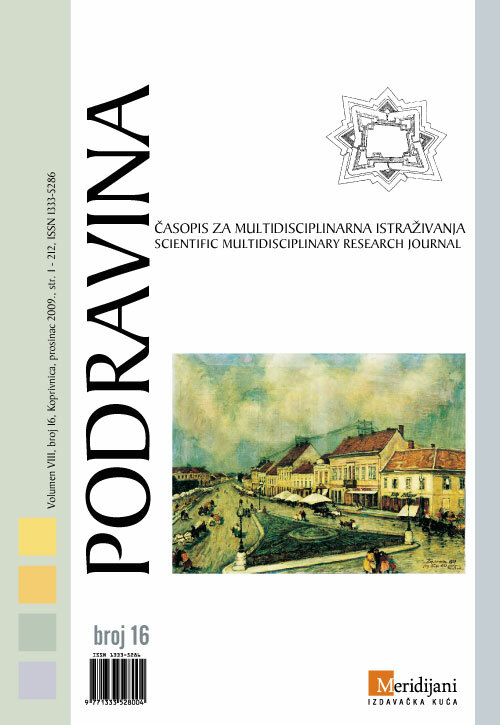 This paper deals with sand dunes area of fluvial and aeolian origins in South-East Europe, the northwest of Croatia, nearby the small town of Djurdjevac, due northeast of Zagreb, the capital of Croatia, close to the Hungarian state border. These sands cover an area of approximately 1000km2 owing to combined effects of fluvial and aeolian processes during the Quaternary Period. Based on research of aeolian sheet sands on a greater region of Pannonian Valley, we can establish three stages of fluvial and aeolian formation of sand accumulation in Croatia: Stage1: approx. twenty thousand years ago (Würm glacial, the last Ice Age); stage2: Older Holocene; stage3: triggered by man and prolonged well into the Early Modern Period. This paper will deal with this third stage. Based on contemporary level of research, medieval archives do not provide any notice of «open» sands in this area; they might have been covered by humus before the Middle Ages. Under the influence of man, in the Early Modern Period (17th and 18th centuries) connective stems of plants (roots) gradually disappeared. There was aeolian erosion, so the sands reappeared on the surface. This brought up the issue of viable, sustainable development or rather, unsustainable one: is reappearance of Croatian sands (that previously had been under the humus layers) an example of disturbed ecosystem? As we consider the previous ‘coexistence’ of local population here with the sands, it’s logical to assume that early medieval ‘reappearance’ of sand dunes wasn’t just due to anthropogenous factor, but also to climate changes as well? The author leaves a door open to assumptions, that anthropogenous factors here, in the manner that change in economies (and/or new techniques and agrarian methods, as well as introduction of new plants) here influenced creation of «bare» sands, its resurface and move. It took great efforts to reattach these «bare» sands; the efforts put in motion since the late 19th century onwards. The plants that were introduced in the sand zone were quickly adjusting to the new terrain and life on sands. These plants enabled creation of humus substrate in the soil here. Slowly the new fertile lands appeared on the layers of sand, which in the 20th century grew with forest and grass vegetation and various agricultural crops; the sands here were covered various flora and fauna, quite atypical for other regions of Croatia. It’s important to notice how stopping of aeolian sheet layers, that had begun in the 19th century, is now revived and undergoing process until present day, by planting pine trees and spreading pine forests.